Shreveport, LA is looking to boost its effort to obtain a New Orleans Pelicans NBA Gatorade League (G League) team, as the city will discuss a sports complex project. As the Pelicans continue to pursue the launch a G League team for the 2018-19 season, the franchise is reportedly sorting through pitches from a pair of cities. Pensacola, FL, along with Shreveport, is in the mix, and though the Pelicans have not asked either city to construct a new arena, both have been linked to unique plans to attract the team. Under Tyler’s plan, the City of Shreveport would contribute $25 million to the project, with the balance of $75 million to be “invested by private partners.” Tyler is set to formally unveil the proposal Tuesday at a Shreveport City Council meeting, where she will ask council members to move forward with the plan. The plan discussed by Patel and [Pensacola mayor Ashton] Hayward envisions an 80,000 square foot event and convention center, 6,000 seat arena, and seven-story hotel on one of two downtown Pensacola sites: the former Main Street Wastewater Treatment Plant site, currently owned by developer Quint Studer; or the current site of the Pensacola Bay Center. 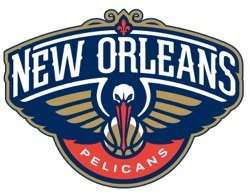 The Pelicans have been steadily narrowing the field of candidates over the last several months, as the team announced this spring that it was looking at a fairly broad slate of cities in Louisiana, Florida, Mississippi, and Alabama. The Pelicans do not currently have an exclusive affiliate in the G League.